We look into our partnership with CNC and one of their architectural masterpieces, designed and built to deliver cutting-edge energy efficiency, high-end style, and outstanding craftsmanship. CNC is an innovative residential design and build company, directed and managed by brothers Nathan and Joel Black. Their passion is creating unique and enjoyable new homes, additions, and alterations. CNC’s in-house design and documentation team provide uniquely tailored designs through a consistent approach, delivering residential developments that are creative, practical, and cost effective. With widespread capability, they handle projects from design right through to build completion. 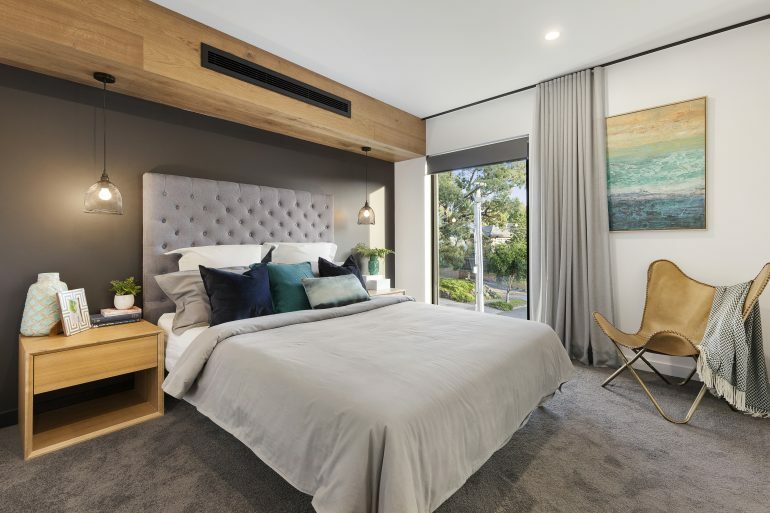 So, it comes as no surprise that one of CNC’s landmark developments—a four-bedroom, three-bathroom celebration of luxe modern living in Nunawading—offers premium quality from top to bottom. We proudly partnered with CNC throughout the design and build of this flagship home, so we spoke to Joel to unpack the story behind the showpiece. With a focus on creativity and practicality, the home casts a unique, contemporary form. 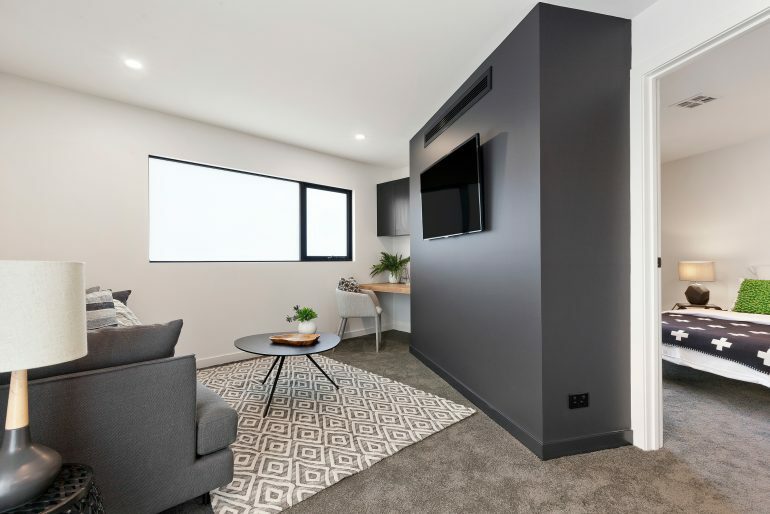 Set in a sought after-area of Nunawading, to the east of Melbourne, the residence was once a vacant parcel of land before being subdivided and put to market by the adjoining property owner. After acquiring the land, CNC set out to design something different to what is widely available in the area. Several design challenges—including small street frontage and various drainage easements—meant the team had to get creative in their approach. The property is spread over three levels. The basement offers a guest retreat area with a full bathroom, along with a laundry and double garage. 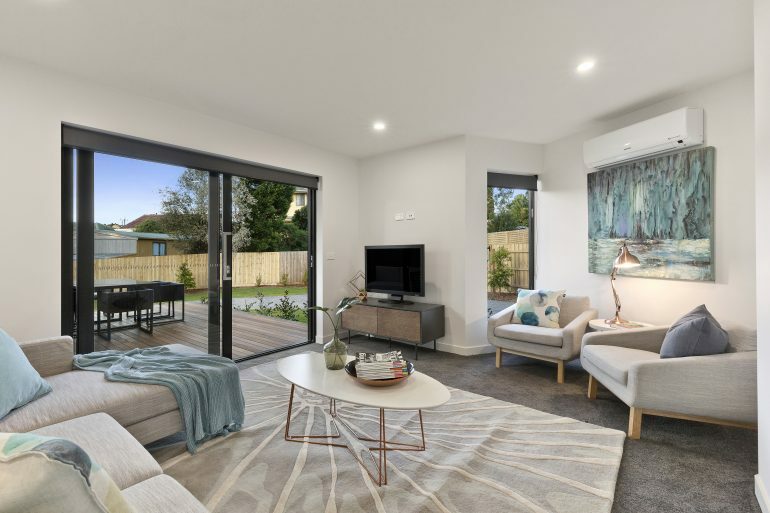 The ground level features open-plan living, with a kitchen and dining area serviced by a powder room, and a balcony overlooking a sizeable back yard. The top level consists of three generous bedrooms, a bathroom, ensuite, powder room, and general rumpus area. Views across the dining area and out to the balcony. When it comes to developing a showpiece home like this, attention to small details is key in creating luxury. The top floor offers privacy and pristine views for each of the three bedrooms. 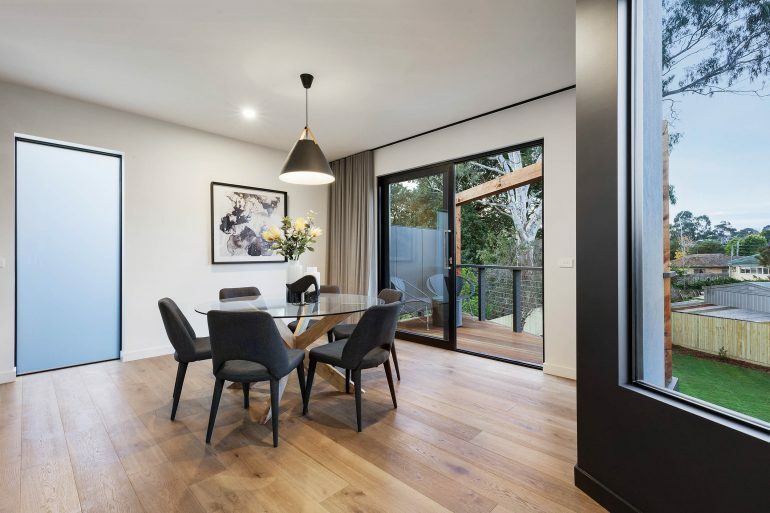 In terms of A&L products, the home at Nunawading features fixed and awning windows, as well as stacking sliding doors. All A&L products featured throughout are from the Boutique Platform Series. Sliding doors, finished in black aluminium, stand out from the white interior. But this project wasn’t just about achieving the highest standards stylistically. 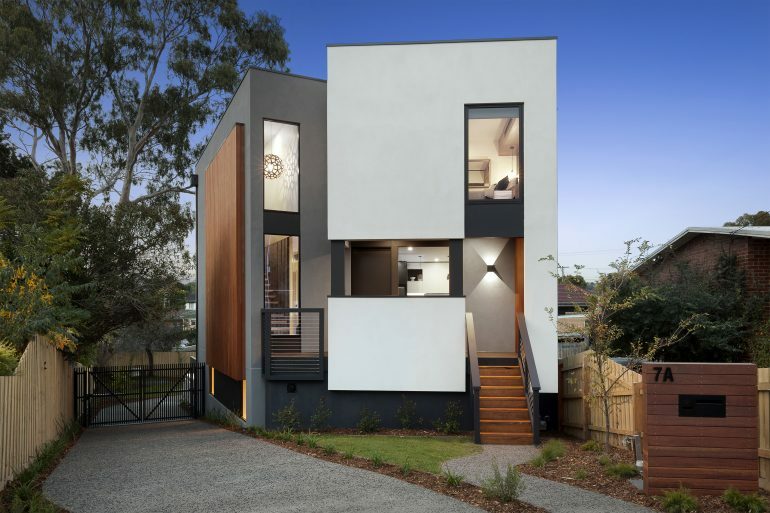 Environmental performance was also a key consideration in the Nunawading residence. CNC has a clear and consistent focus on creating sustainable homes by incorporating energy-efficient design elements and materials. The height of modern, luxury living. 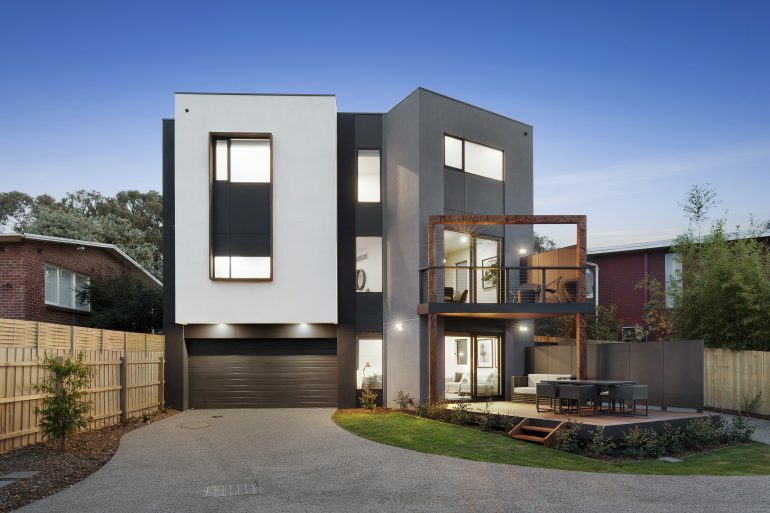 The showpiece home at Nunawading, standing proud and packed with enlightened design choices. If you’re interested to learn more about CNC Constructions and their approach to building high quality and sustainable lifestyles—or to look into some of their other high-profile projects—head over to their website now. Otherwise, stay tuned for more of our feature projects or get in touch if you’ve got something exciting in the works yourself.